- The EKS 151 is a 350W 15 Loudspeaker from Studiomaster Professional. The loudspeaker combines a state of art design and outstanding sound quality to provide a choice of sound systems to suit almost every application. 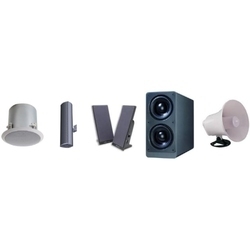 - Professional Loudspeaker system highly recommended for a variety outdoor & indoor applications. A dark & light highland wood with prominent grains in low contrast. Two shades in appropriate textures. 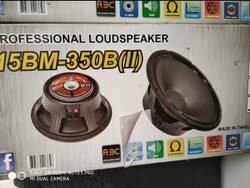 Ceiling speaker without transformer and Surface loudspeaker for rear side attachment. It has Impedance 8 Ohm.